It’s sundae on a Sunday! Let’s have a party! For the first time, I’m fashionably late to a party… so I thought let’s do this with a BANG!!! Firstly, combine the heavy cream, milk and sugar into a saucepan. With a low-medium heat, warm the cream mixture until sugar is completely dissolved. Take 1 cup of the cream mixture and gradually add it to the egg yolks while whisking lightly. This will give you the egg mixture. Now, gradually pour the egg mixture into the main cream mixture while whisking lightly. This will give you the custard mixture. Cook the custard mixture over medium heat while constantly stirring to avoid boiling the mixture as it cause it to curdle. Cook for about 8-10 minutes or until it is thick enough to coat the back of a wooden spoon (you can check this by running your finger in a line over the back of the coated spoon and if the mixture does not run, it is ready). Remove from heat. Pour the custard mixturethrough a mesh sieve into a large bowl set on an ice water bath. Dice the lychees and add them into the custard mixture. Add the lemon juice. Allow the mixture to cool while stirring occasionally. Once completely cooled, place it in the refrigerator overnight to allow the lychees to infuse into the mixture. 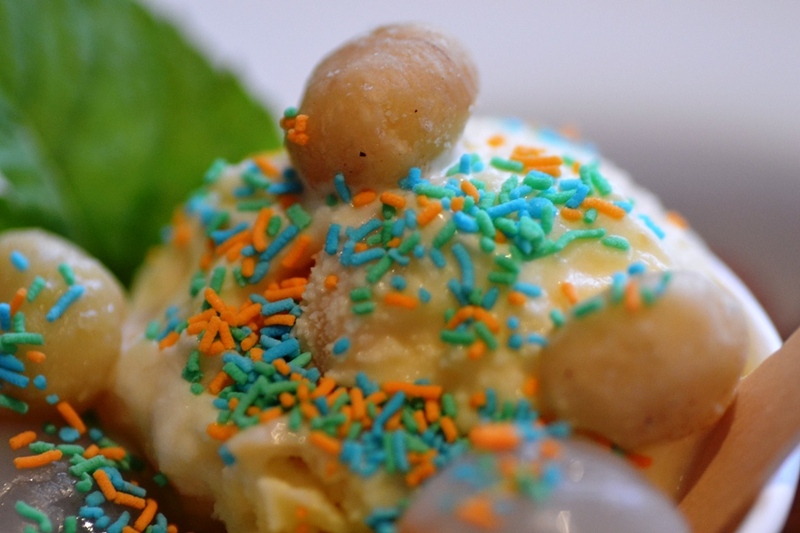 Take the custard mixture out and freeze it in an ice cream maker by following your manufacturer’s instructions. Once done, place it in the freezer for a few hours to set. So tell me fabulous readers… which version would you go for? What is your must-have Sundae on any given day? Check out these other great entries from other contributors to this month’s themed party! Yum!! Looks delish! I’d definitely go for the plain version with more fresh lychees on the top! Thanks… I would also go for heaps of lychees on top! Thanks! When I found the gelati cups, I just had to buy them! Hi there, thanks for stopping by my blog earlier. You have such a lovely blog here. Btw, should I call you as I-Hua? Boy, your ice-cream sounds awesome and creative. Thanks so much for sharing. Hope to hear from you more often. Have a wonderful day. Yum! I know I would just love this ice cream as I love lychees with ice cream. The weather is just so hot at the moment too! Lorraine @ Not Quite Nigella recently posted…Win 1 of 3 Ecofy Organic Seasonal Fruit &amp Vegetable Boxes! It is back to being cold again down here!! Arrgghh!!! I am greedy so I will go for everything on top! 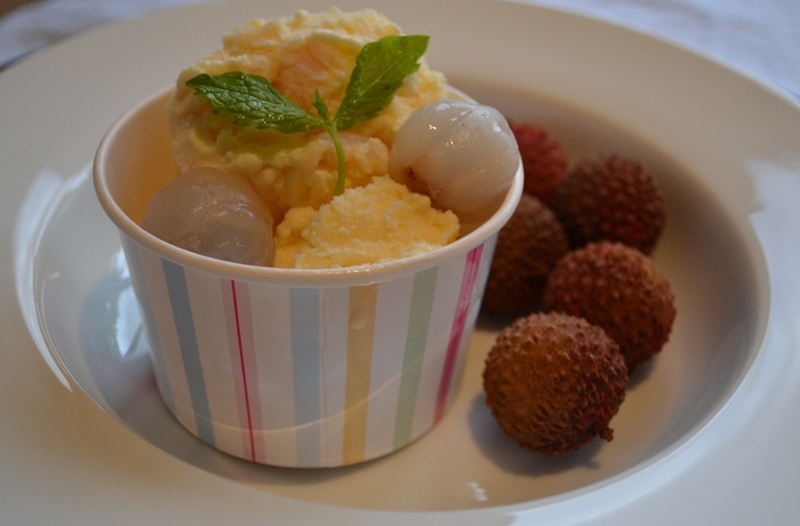 oooh, lychee ice cream – I have never had that, but I do love lychee. yum! I like how clean and almost fresh this sundae is. I am loving the wide variety of ideas…I see why this is an International ‘Incident’ party now! Thank you for stopping by my blog and also for letting me in our your party. Pecans for me and lychees for you! Lychee-licious! Great colours, such a fun dessert! I agree.. so pretty that I didn’t want to eat it!! I have those gelati cups! 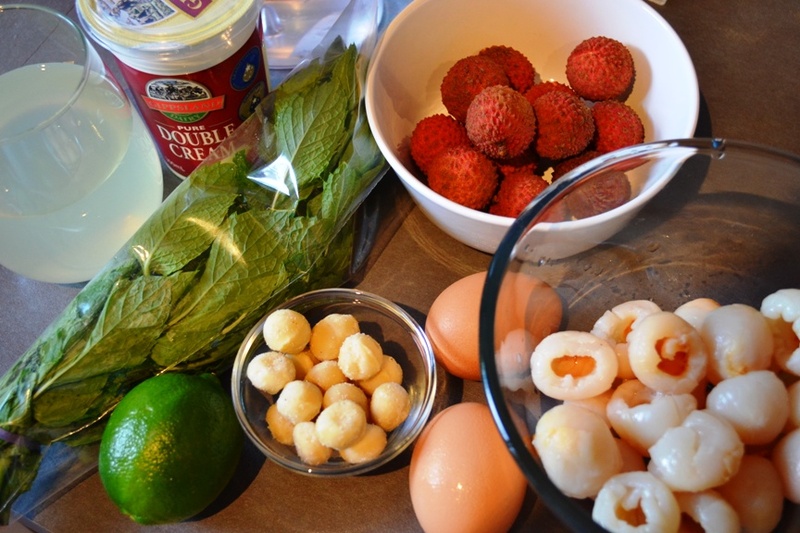 And i’ve been meaning to make lychee sorbet for a month now… really must get onto that, I have all the stuff at home! Looks great! 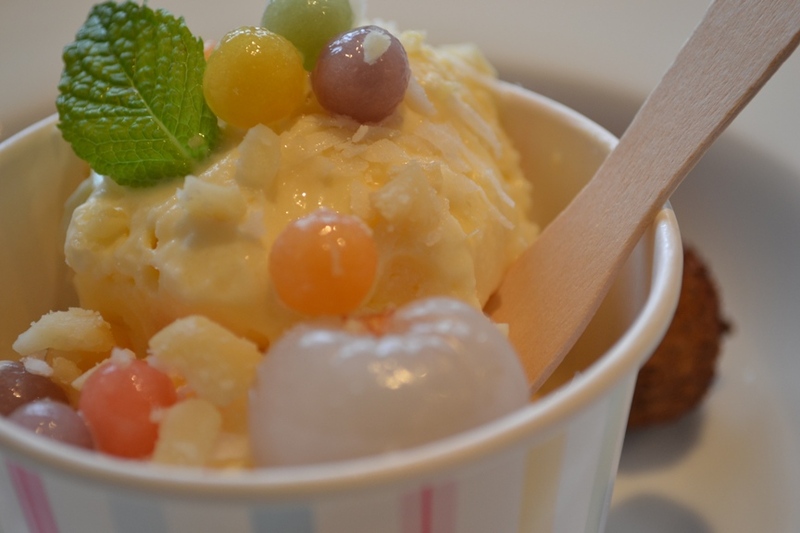 I looked at your list of ingredients for this lychee sundae and I thought, yuh-mee! Macadamia, pearls, coconut, sprinkles…I want it all, and I want it in a much, much bigger cup than the one you have here (pretty though it is). Fantastic flavors you have here! Where did you get the lychees from?! Yum! 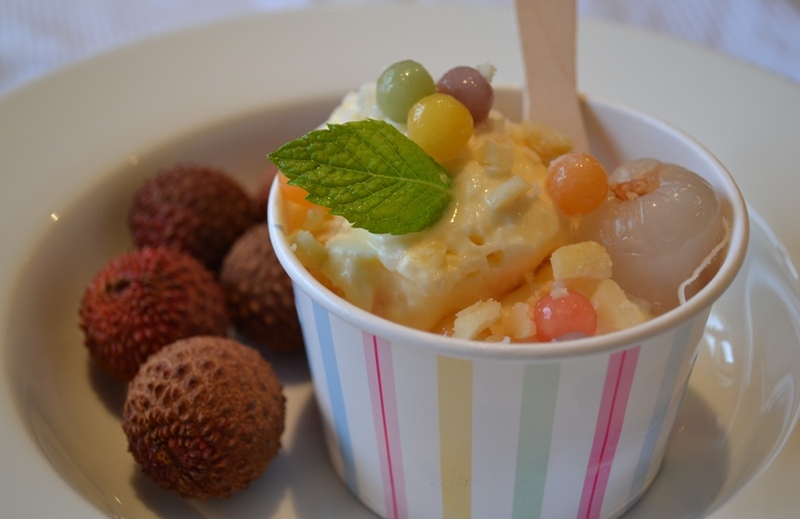 I love lychees and love the thought of lychee ice cream. I am sure this was fabulous! I love it.. having more after dinner today! This looks fabulous. Both versions looks great. Well done to both of you. 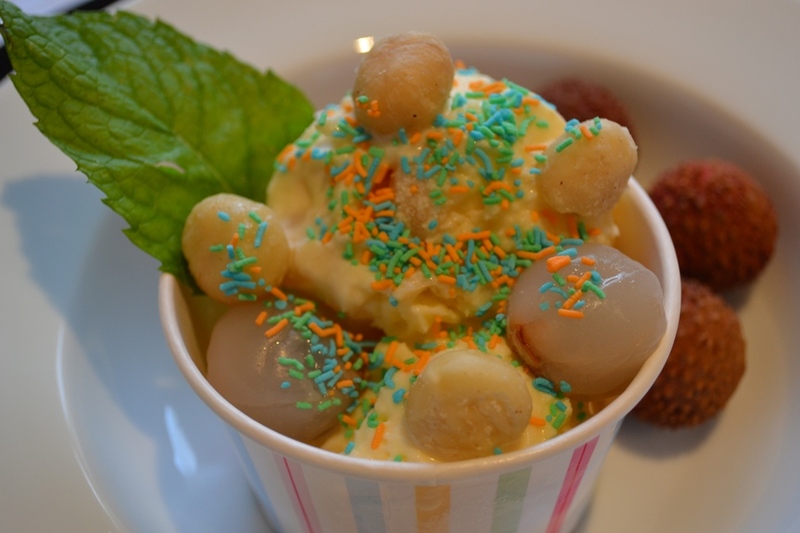 Lychees is a great flavour for a sundae! Good thinking! Wow that was great flavors.